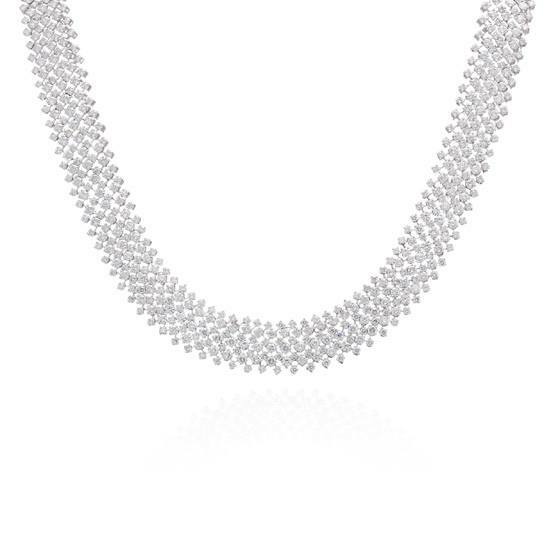 From brilliant diamonds to a bevy of colorful sparkling stones, the perfect, one-of-a-kind necklace awaits you at Dominion Jewelers, where our craftsmen design each beautiful piece by hand. Necklaces date back to ancient times. Opulent neck adornments were one of the earliest symbols of luxury and wealth, and were used for celebrations and ceremonies. 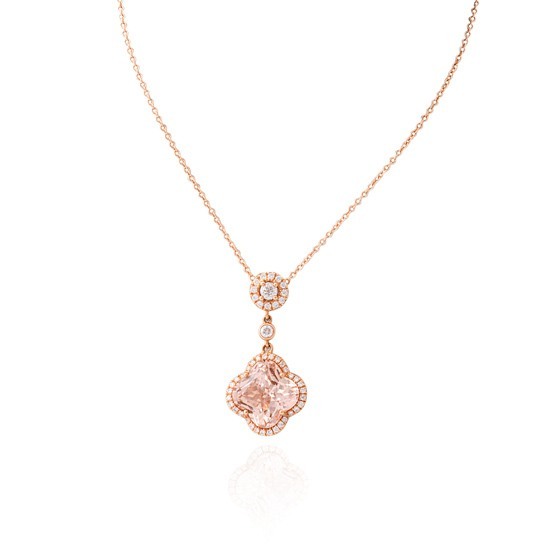 Today, a variety of necklace styles can be found in nearly every woman’s jewelry collection, ranging from the everyday casual pendant or necklace to something glamorous for life’s most special occasions. Because there are so many options, and so much versatility, there is an endless number of ways to wear and enjoy necklaces. 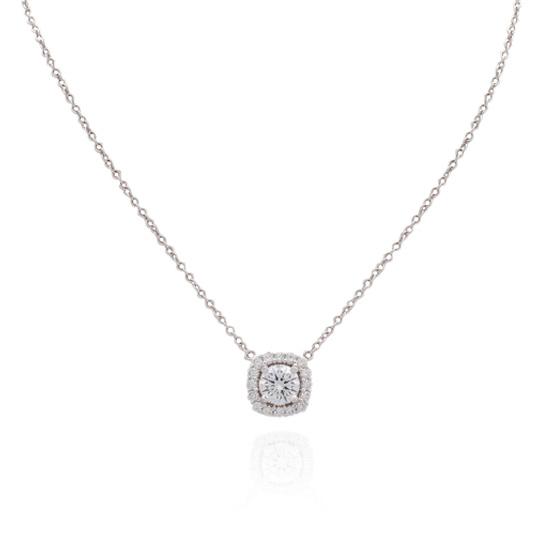 Whether you’re searching for a trendy new piece to update your personal collection or a unique gift for someone special, Dominion Jewelers has the perfect necklace. Our impressive showroom in Falls Church, Virginia offers an extensive selection of diamond, gemstone, and gold jewelry for virtually every woman. Perhaps your style mantra is ‘less is more’, and you typically wear the same one or two understated pieces. Or, maybe you enjoy experimenting with the latest look in jewelry fashion. 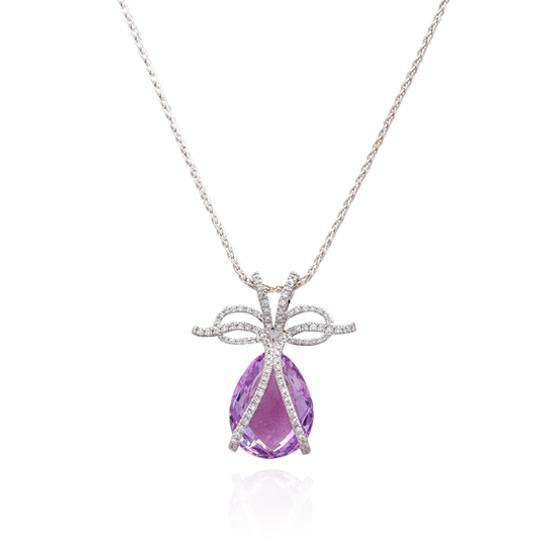 Whatever your taste may be, the right necklace can reflect your personality and sense of style. 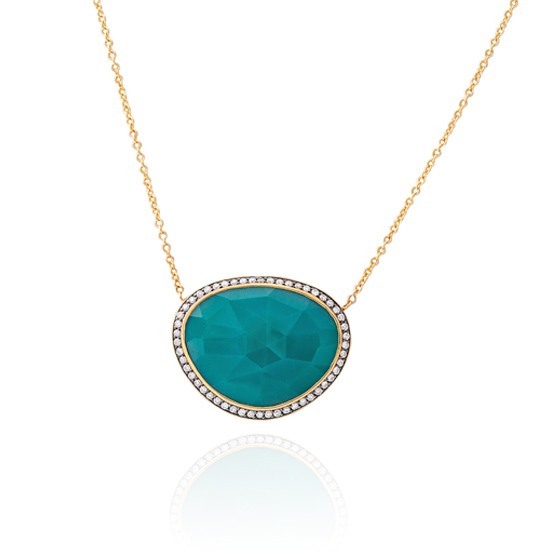 A large, richly hued gemstone necklace is perfect if you want to make a bold fashion statement. 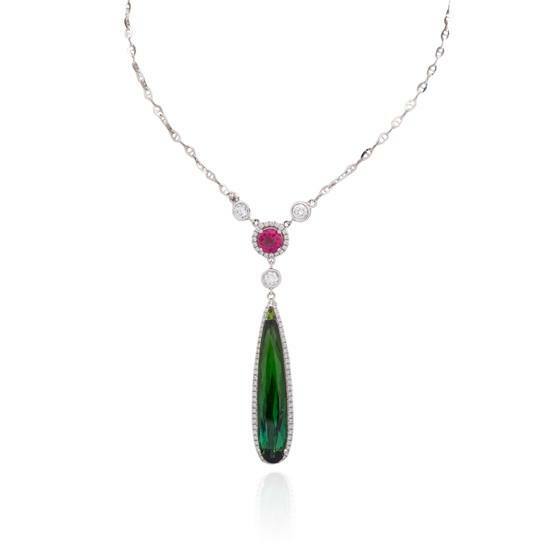 Or consider a style with multiple gemstones ‘stationed’ around a long rope of precious gold. This style will give you the utmost in versatility—wear it full-length for your more casual looks or wrap it to create a double strand—just the right accent for a tailored suit or a flirty dress. 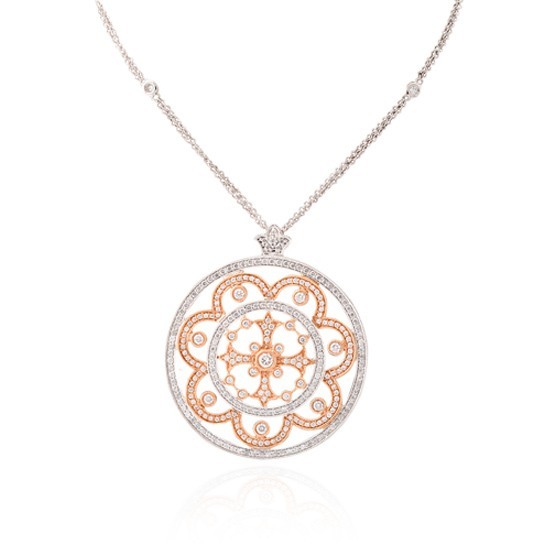 A delicate pendant is the ideal choice for an everyday necklace, as it will complement everything in your wardrobe. 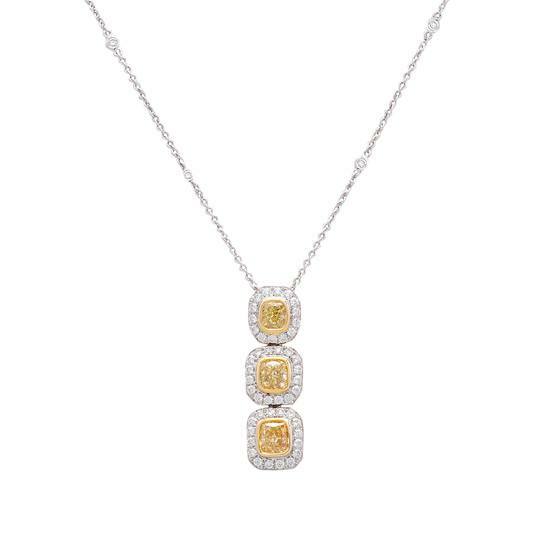 The classic simplicity of a diamond pendant, whether in a traditional prong setting or a modern bezel mounting, will always be in style. 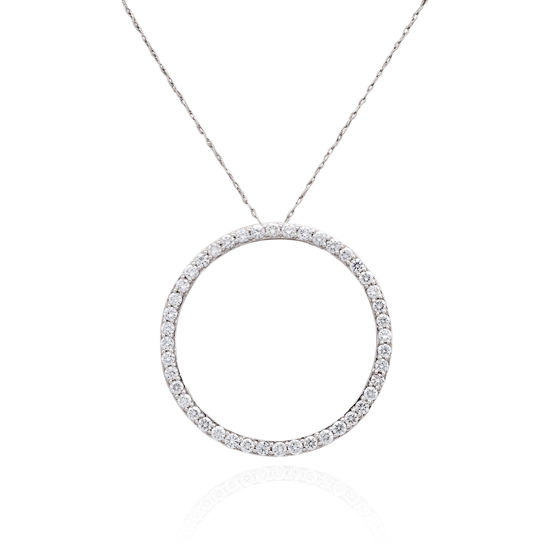 Or, for a bit more dazzle, go for a diamond halo pendant, where tiny diamonds gracefully surround a larger center stone. The versatility of a pendant is endless, as you can create a truly personal piece by selecting a gemstone and choosing the precious metal to best accent it. Dominion Jewelers has a wide selection of quality gemstones in every color, size and shape imaginable. Opt for yellow gold for a traditional look, white gold or platinum for a modern twist, or the soft shimmer of rose gold, which beautifully combines warm and cool and looks gorgeous on all skin tones. Collar and choker necklaces are excellent choices for special occasions, as they fit closely around the neck and do not compete with, but subtly accent, a woman’s formal attire. You can choose a simply elegant circlet of brilliant gold or a wider band intricately studded with diamonds or gemstones. No matter if your style is traditional, contemporary, or vintage-inspired, Dominion Jewelers offers an exciting selection for you to discover. If you can’t find that just-right necklace, take advantage of what truly distinguishes us from traditional jewelry stores. We invite you to contact one of our experienced jewelry professionals about our custom design services, where you can learn more about crafting an original custom necklace of your own design. Together, with our expert team, you can create a unique, heirloom-quality piece that’s sure to become a cherished favorite. At Dominion Jewelers, we witness every day the power of jewelry. 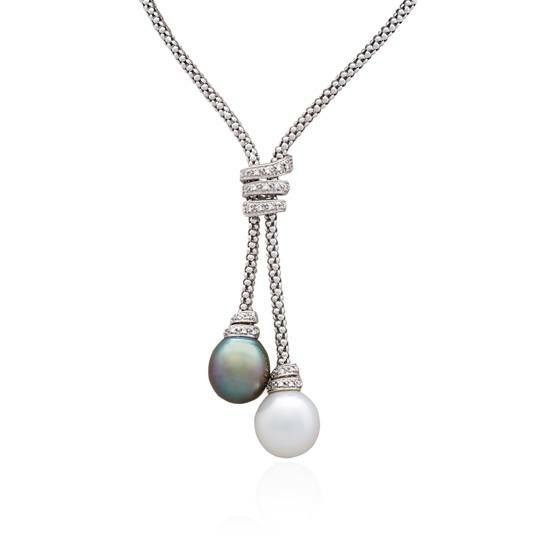 A treasured necklace can tell a story, bring to mind precious memories, mark a life milestone, or simply represent the love bestowed by a special someone. We understand that these are the pieces that are destined to become family heirlooms. And that is why our craftsmen use only the finest precious metals and exceptional gemstones, creating a collection of breathtaking necklaces that will retain their beauty for generations. Come visit our beautiful showroom to browse the incomparable selection of fine jewelry at Dominion Jewelers. You will see for yourself what sets us apart from all the others. 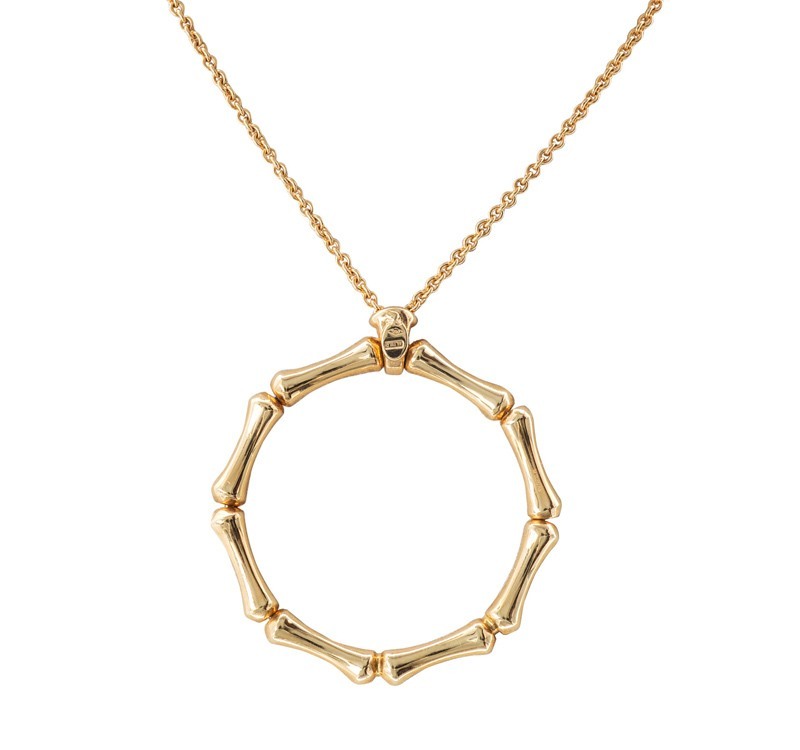 "The favorite part of my pendant is knowing that Rob created the design himself. It is truly special because it is unique to me and represents endless love." Unique jewelry carefully crafted to enhance your natural beauty.